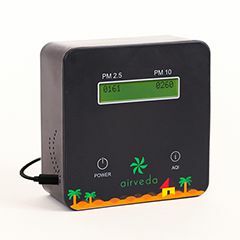 Airveda PM2.5 PM10 Lite uses high quality laser sensors to measure PM2.5 and PM10. 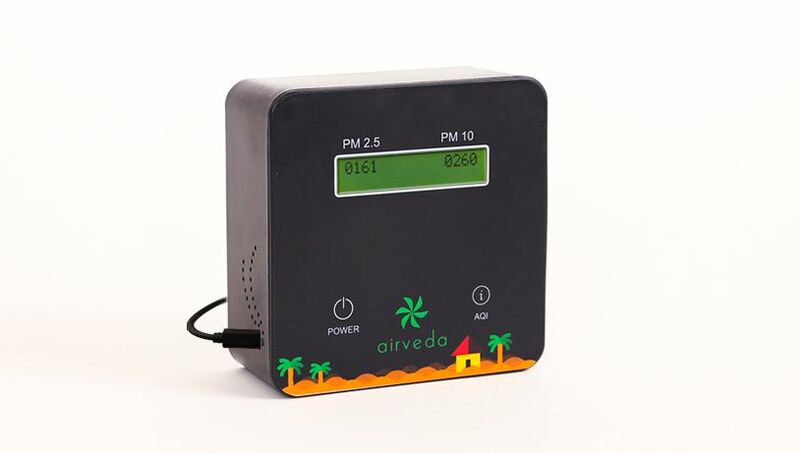 Each sensor is individually calibrated against BAM (Beta Attenuation Monitor - the most advanced system for measuring ambient air quality). An independent study showed correlation greater than 90% with BAM. 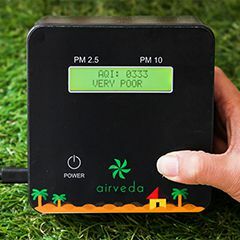 Airveda Lite is small enough to fit into your palm. 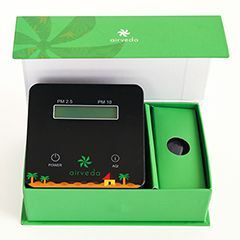 It does not have an in-built battery, but can be connected to any 5V supply - power bank, USB power outlet in your car or laptop. 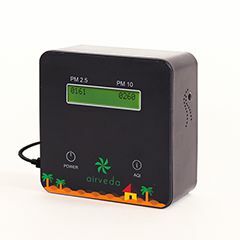 The device measures air quality every 1 second so you can understand the air quality where you are, in real-time. The data can be viewed on the monitor display only - it has no Wi-Fi or mobile app support. 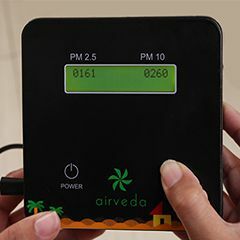 A handy feature in the monitor allows you to press the AQI button to see the current Indian AQI number. 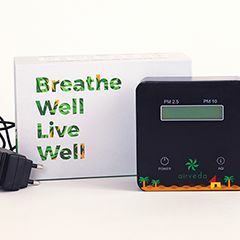 Airveda Lite is completely manufactured in India. Sensors are also calibrated locally to suit Indian conditions. Sensors can be locally re-calibrated as well as replaced easily. Our manufacturing facility has been running for 30 years and is a trusted name in the local industry. Power voltage : 5V. Does not have in-built battery but can be charged via powerbank or laptop/car usb. Client is responsible for getting device to our facilities for all servicing. Service time 1 week. Warranty is void if device is opened, tampered with, or electronics have been damaged due to mechanical shock. Sensor calibration and replacement is chargeable. Light scattering can be induced when particles in the air go through a detecting area. The scattered light is transformed into electrical signals and these signals are amplified and processed. The number and diameter of particles are then obtained by analysis based on existing relationships between signal waveform and particle diameter.